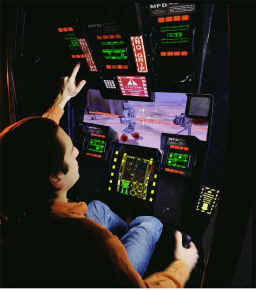 Video games are a combination of hardware and software with video and audio and touch feedback. 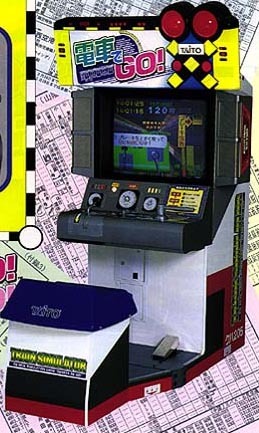 In the arcade each game has its own particular user interface. With video game consoles at home these individual controls have been replaced with generic controllers. Individual programmers have given way to huge teams with specialized functions. 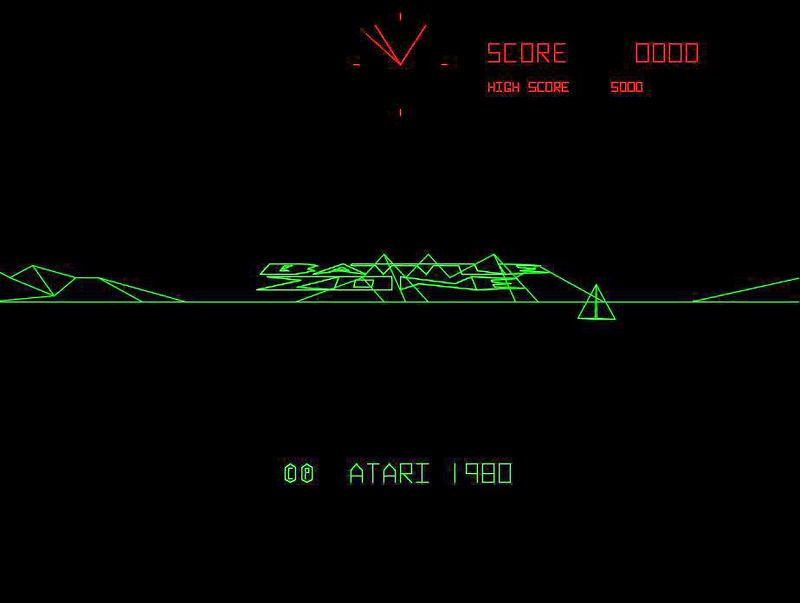 Video games have both benefited from advances in computer graphics and driven those advances in computer graphics. People spend a great deal of time interacting with computers in the form of videogames - its definitely an area of programming where you can't ignore the user. 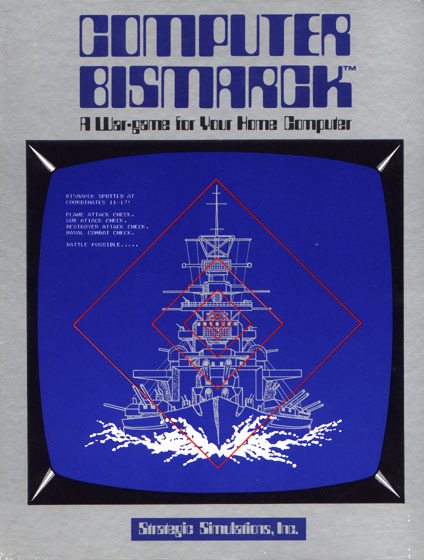 Note that while I do want to talk about the evolution of video game software and hardware I do not intend to get into any religious wars over whatever is supposedly 'better' than whatever else. 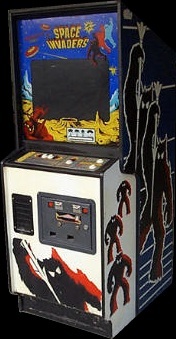 Initally the home consoles only played one game (like pong) but then you would get variants (pong and hand-ball) and then pong and a light gun. 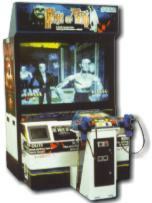 The big deal came when you could buy a system and plug different cartridges into it to play a whole variety of games. 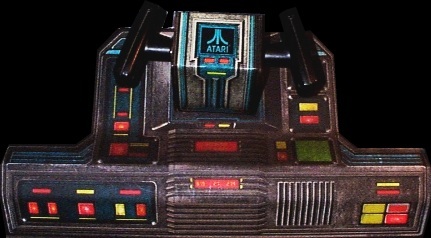 The atari 2600 allowed you to plug in multiple controlers but it came with a 1 button joystick by default (you could also plug in a 1-button paddle for the racing game.) 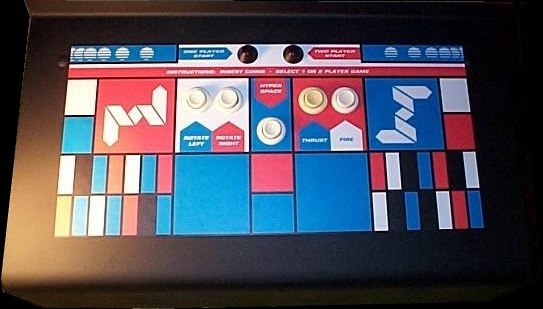 As the years move on we move towards replacing the joystick with a directional pad, and adding more buttons on the top and then on the 'shoulder' of the controller, then we adding back a joystick or two in addition to the directional pad. These days controlers have anywhere from 10-15 controls. 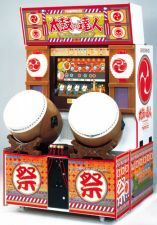 but these also had their technological parents in the LED based games of the late 70s and early 80s. 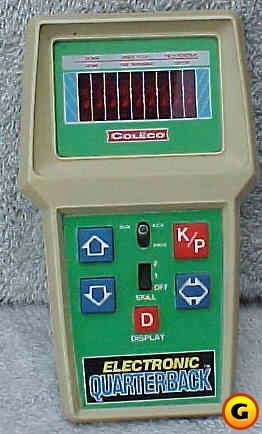 Good examples are the hand-held football games made by mattel and coleco (like the one shown below from gamespot) which ran off of a 9 volt battery with LED graphics and rudimentary sound. But they fit in your pocket and were quite rugged. Home computers changed the rules slightly. 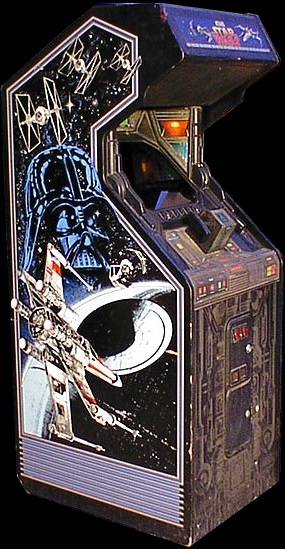 While games in the arcades were designed to take your quarters away as fast as possible, with home computer games, the games could get longer and more involved, so aside from porting and creating new arcade games, adventure games began to appear in large numbers. What made this happen? 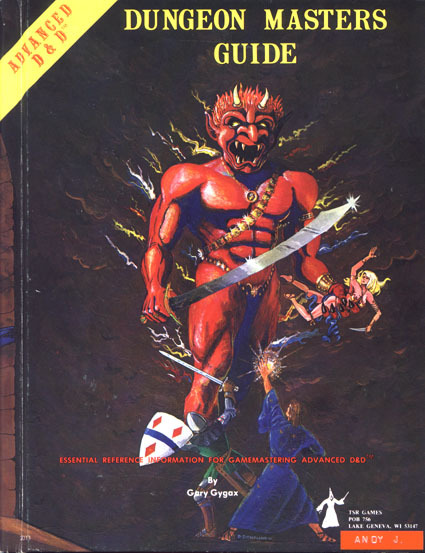 Dungeons and Dragons - dice and character sheets and a desire to combine these with the computer. 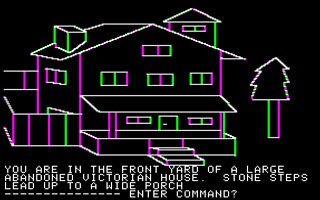 and home computers had a keyboard. 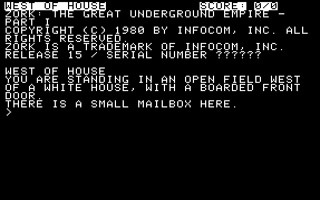 Adventure and Zork on the mainframes leading to text based adventures such as Zork and the 12 Scott Adams (no, not the Dilbert guy) adventures where you would type in simple phrases to move from place to place, solve puzzles, ocassionally kill things, and more likely die in unexpected ways. 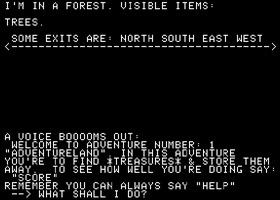 On mainframes, Rogue created 2D dungeons from ASCII text. 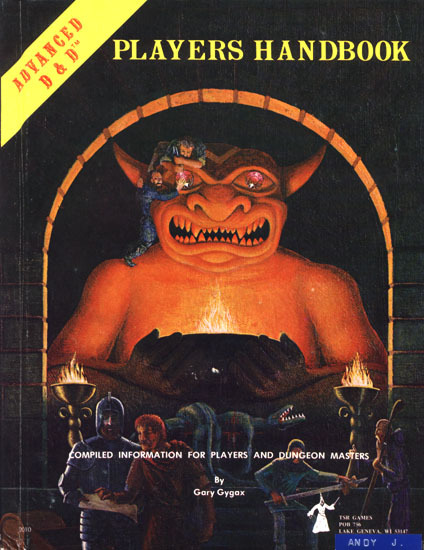 Temple of Apshai created 2D dungeons with (rudimentary) graphics and each room had a number so you could read the description of the room in the instruction manual. 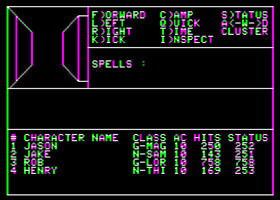 Akalabeth and Mystery House brought rudimentary 3D graphics as well as text to exploration.Wizardry would create a good D&D sense of a party exploring underground and meetings lots of enemies. 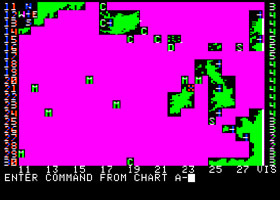 In almost all these cases you were responsible for taking your own notes and making your own maps. Another new area was taking the large battle simulations from the dining room tabletop with cardboard markers on cardboard maps into the computer - where the computer could manage the control of the pieces and more importantly the computer could be the opponent. Home consoles also were (and in many cases still are) hooked up to the television set with standards developed in the 40s (50s added color) and not really designed to show bright high-contrast colours. 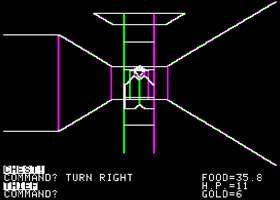 NTSC, PAL, SECAM are all interlaced and have 525 or 625 lines of resolution so if you have a 640 x 480 display (remember those) with a decent number of colours on your computer you are already getting a much better signal.